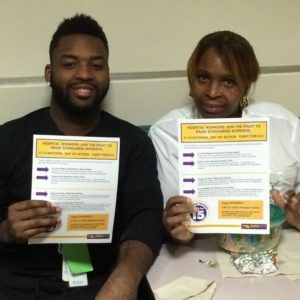 Hospital Workers Join the Fight to Raise Standards for Workers and Demand a Wage Floor of $15 an Hour! 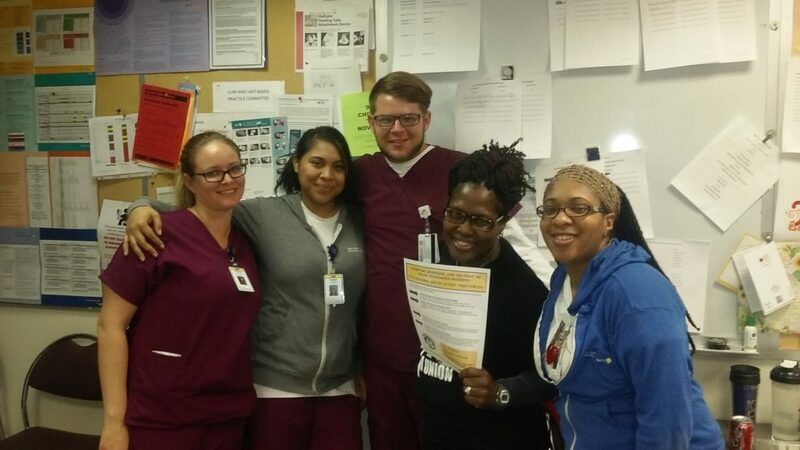 At Northwestern Hospital healthcare workers join #Fightfor15, Nov. 10, 2015. (November 10th, 2015, Chicago) — Hospital and healthcare workers joined the growing movement to #FightFor15 to demand economic justice for working people and our families! 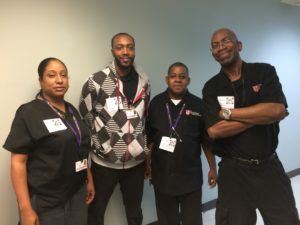 All across Chicago and the Midwest hospital workers took action to support the #FightFor15 movement by marching in the streets, “stickering up” and leafleting in our work sites. People who live in poverty are more likely to suffer from chronic conditions and to have risk factors that lead to poor health outcomes. At Metro South Hospital, workers raise their voices in support of living wages and a $15 hourly wage floor. Demand for health services and jobs is growing. Living wages and benefits are the best way recruit and retain highly qualified and dedicated workers. Healthcare wages run the spectrum. Like the rising tide that raises all ships, increasing the minimum wage lifts all wages up and is better for healthcare workers across the spectrum of care. Corporations and major health systems can afford it. Elected officials have the ability to pass legislation to raise wages, close corporate tax loopholes, and make the rich pay their fair share in order to put money back into our communities and the services we need. They just need the will to do it! Roseland Hospital workers “sticker up” to remind management that we have gone three years without a raise. 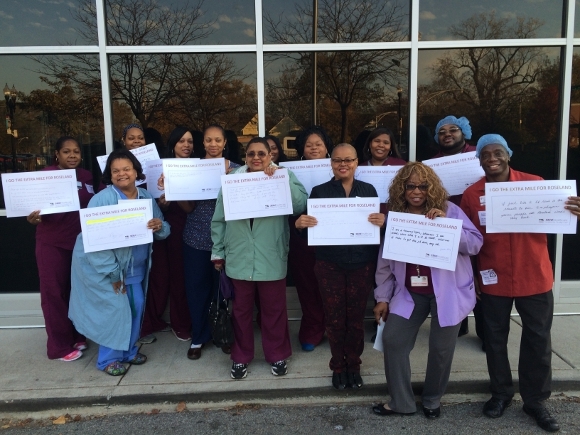 Roseland Hospital workers posed for this photo on Nov. 10th, 2015 holding signs that say “I go the extra mile for Roseland” to demonstrate that workers provide quality patient care. 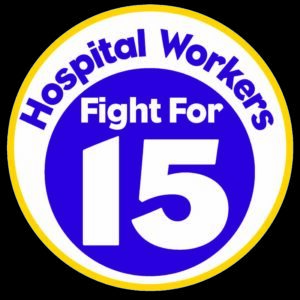 Workers at Saint Louis University Hospital (SLUH) join together in solidarity to support Fight for $15 campaign, Nov. 10th, 2015.